Digital experience agency Reprise has been appointed by Australia’s largest owner and operator of holiday parks, Discovery Parks, to manage a national communications assignment supporting the company’s plans for nation-wide expansion. Reprise will manage the account, which spans over 250 parks, from its Adelaide office. 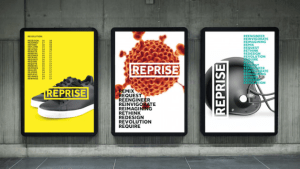 Reprise’s work for Discovery Parks will focus on digital performance media channels and the optimisation of Discovery’s considerable digital assets. Reprise opened in Adelaide 18 months ago to service South Australian Tourism Commission (SATC). It's ramping up in the region taking on new staff to cater to Discovery Parks. NewsMediaWorks’ marketing director Charlie Murdoch has been appointed News Corp's general manager of trade marketing. He replaces Amanda McGregor who has been in the role since November last year. Murdoch has been at NewsMediaWorks, for almost five years, previously holding roles at Austereo and Ooh!Media. Following the departure of CMO Tony Phillips, both trade marketing and creative services team will report into managing director of national sales Lou Barrett.